We are on the eve of celebrating our nation’s 71 Independence Day. 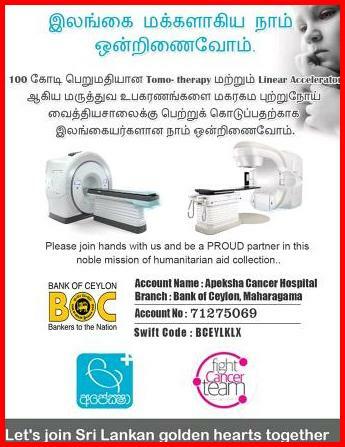 On this auspicious occasion, all Sri Lankan communities, Sinhalese, Tamil, Muslim, Malay, Burgers and all others should actively participate on this occasion. Since independence, all three communities have been living in water-tight compartments. We have been religiously, culturally, and ethically divided in Sri Lanka. That diversity in culture, religion, language and ethnicity should not be barrier to support the nation building process in this country. Each community has been solely looking after their community interest and welfare. We all have failed to create a Lankan identity and national sentiment. Of course, in the past, we have had so many issues and problems that divided Sri Lankan communities in different entities. 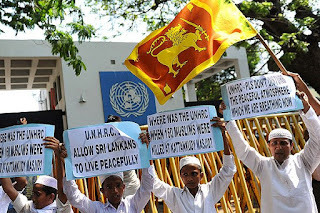 Yet, this communal attitude has greatly damaged Sri Lanka. This narrow-minded community spirit has destroyed our national interest. Instead of collaborating for nation building process, we begun to think communally for some petty reasons. As result of this communal sentiment, we have failed to strengthen Sri Lankan economy. We all three communities have failed to build Sri Lankan national identity. Tamil and Muslim communities have ben feeling that they have been side-lined or marginalised in many decision-making processes of this country. Consequently, these minority community could not extend their human potentiality and credentials to build this nation. Today, we live in a totally different world. Modern geopolitics, globalization trends, business market, international relations, and digital revolutions all demand that all Sri Lankan communities must work hand in hand to build this nation. Today, Sinhalese, Tamils, Muslims, Malay and all other Sri Lankan communities have something to offer to this nation. Each community is blessed with some divine gift and with some human potentiality. There is no need to treat any Sri Lankan community indifferently in this age of digital revolution. Each human being is born with some natural skills and natural talents. Today, in this modern world of knowledge-based economy, human skills, talents, experience and knowledge are real assets of nations. By the grace of Almighty, each Sri Lankan community has been blessed with some extra-ordinary human skills. For instance, Muslim community is shining in retails business sector. Traditionally, Muslim community has been doing well in some areas of business sectors such as gems, diamonds and some other business sectors. This business skills must be further developed so that the Muslim community could contribute immensely to the economic growth of this nation. Likewise, Tamil community has been shining in Education for long time in Sri Lanka. Tamils have been working hard to develop the standard of education in Sri Lanka. This is indeed a great news for entire Sri Lankan nation. Today, service sector needs highly skilled professionals and educationalists. Today, professionals earn more money than many traditional agricultural industries. So, this Sri Lankan government must encourage Tamil and Muslim communities to develop their field of interest and specialization. Government must their all communities to nurture their human potentials. All this will help to boost Sri Lankan economy. Today, there are more than 1 million Sri Lankan in Europe. These Sri Lankan expatriate communities have developed their human potentiality and credentials. They have developed their skills and experiences in different fields. They have enhanced their qualifications in different fields. For instance, today, thousands of Sri Lankans work in many industries, companies, private and government departments, and international organizations. All this experiences and skills can be utilised to develop Sri Lanka. Today, we live in this global village, so, this knowledge transfer is not impossible tasks. For that, all three communities must work hand in hand. Holding grudge over any Sri Lankan community will not help any one in this modern age. It will be like a self-destruction to us: Sri Lankan communities no need to hold grudge over past bitterness and resentment. Sinhalese community as the majority community in Sri Lanka must have big hearts to appreciate and acknowledge the dedication and devotions of other communities to develop this nation. There is no doubt today, Tamil and Muslim communities are immensely contributing Sri Lankan economy. There is no doubt about this. Take for example, a Total amount of remittance and foreign money exchanges these communities make each day to Sri Lanka. In short, all communities make huge sacrifices directly and indirectly. Let us know how to appreciate all this by different communities. The fake argument presented by some ultra-extreme Buddhists to say that Sri Lanka belong to Sinhalese alone does not have any merit or credibility in this modern age of globalization. This argument does not do any good for Sri Lanka at all except creating more and more disharmony among communities. Let us all communities come and celebrate this auspicious occasion. Let us use this occasion to strengthen community unity among all Sri Lankans without any discrimination based on our ethnicity, language and religions. Let us live as children of one Mother Lanka. Let us hope and pray for prosperous Lanka for the future generations. The content is correct. However, there are many syntax mistakes. Correct them.